Renishaw, Plc. one of the world’s leading engineering and scientific technology company from the United Kingdom (UK) announced that it will be showcasing its expertise on multi-laser additive manufacturing, real-time monitoring at the Additive Manufacturing Users Group (AMUG) Conference to be held in St. Louis, Missouri USA in April 2018. At the Conference, the company will be highlighting the advantages of RenAM 500Q – a four-laser 3D printer that improves AM productivity by up to four times, making it ideal for metal additive manufacturing. In addition to highlighting the benefits of the machine, the company will also present the Galvanometer (Galvo) mounting – a core component of the optical system that can be produced on the RenAM 500Q itself. Renishaw possesses vast experience in real-time AM process monitoring. Renishaw’s InfiniAM Spectral – a software which helps users to capture, assess, store and process data from Renishaw’s laser powder-bed fusion platform allows users to gain a deeper understanding of the additive manufacturing processes as well as eliminate the defects that may arise in the additively manufactured components. A lack of understanding of the AM processes and the defects in components manufactured using additive manufacturing serve major hindrances to large scale adoption of additive manufacturing. “As well as developing hardware, Renishaw offers advanced software in the form of InfiniAM Spectral, which can stream process data across a conventional computer network layer by layer. This means that the engineer can analyse the build and identify anomalies in real-time – improving the user’s understanding of AM,” Weston added. 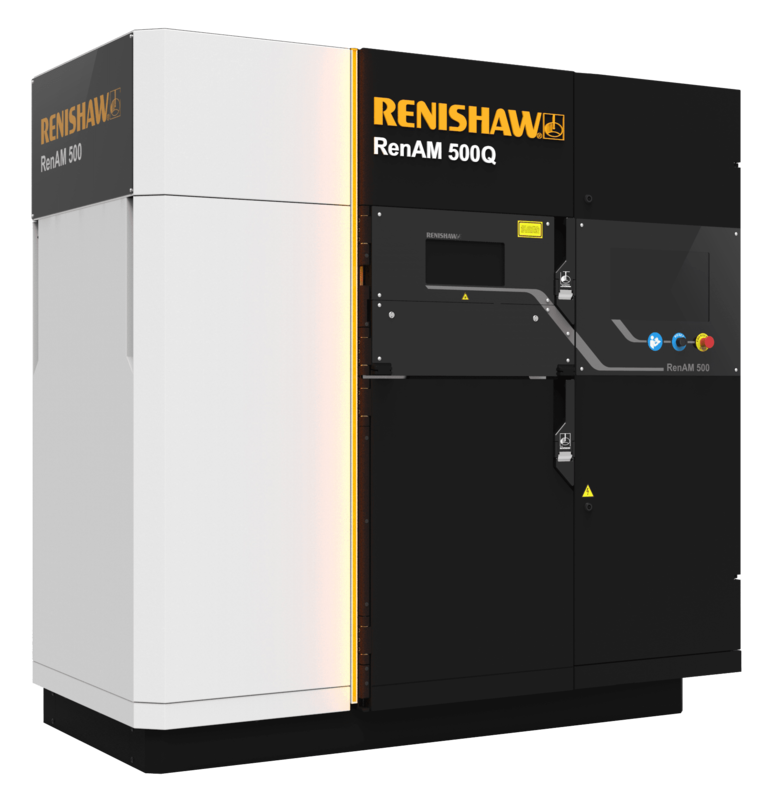 The AMUC, which will take place from April 8-12th, 2018 also marks Renishaw’s first major event in the United States post the company’s launch of RenAM 500Q. The event is poised to be the biggest event of the year and will see participation of both novice as well as veterans from the industry.